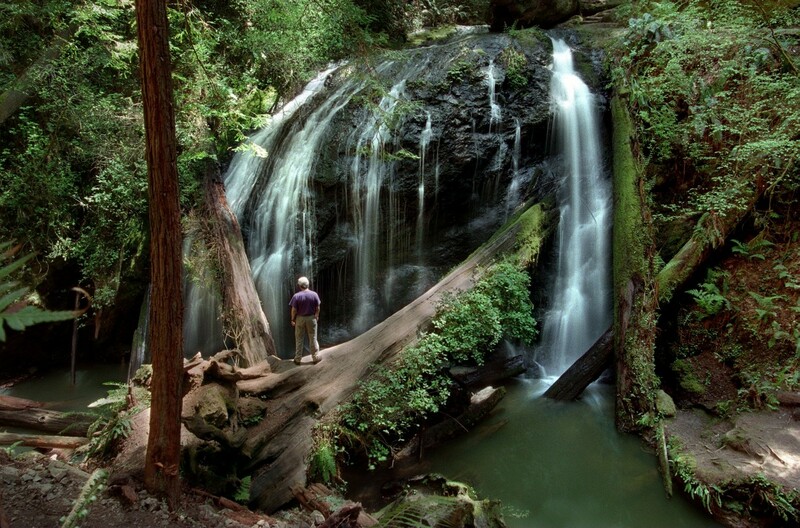 With its abundance of public parkland and open space, the North Coast is too full of gushing streams and cascading creek flows to mention them all, but a short list would include Sonoma Creek Falls in Sugarloaf Ridge State Park; Alamere Falls in the Point Reyes National Seashore; the Fern Canyon falls in Russian Gulch State Park; and Chamberlain Creek Falls in the Jackson State Demonstration Forest. 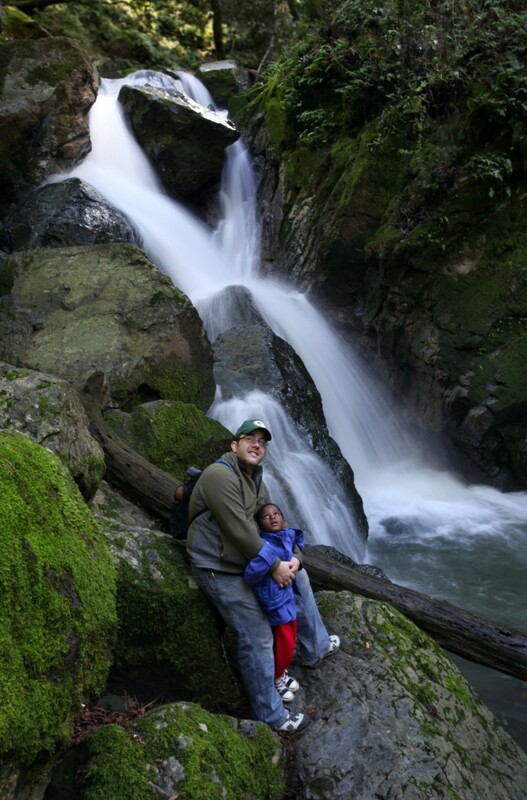 The Mount Tamalpais Watershed boasts several well-known waterfalls, including Carson Falls and Cataract Falls. Nearby, in the Baltimore Canyon Open Space Preserve, Larkspur Creek produces the Dawn Falls. There are seasonal tidefalls at Stengal Beach and Salal Creek that flow into the ocean at The Sea Ranch; a creek waterfall deep inside Pomo Canyon State Park near the Sonoma Coast and another at Armstrong Redwoods State Natural Reserve; plus a stunning falls of the bluff the Point Arena-Stornetta Unit of the California Coastal National Monument in Point Arena. 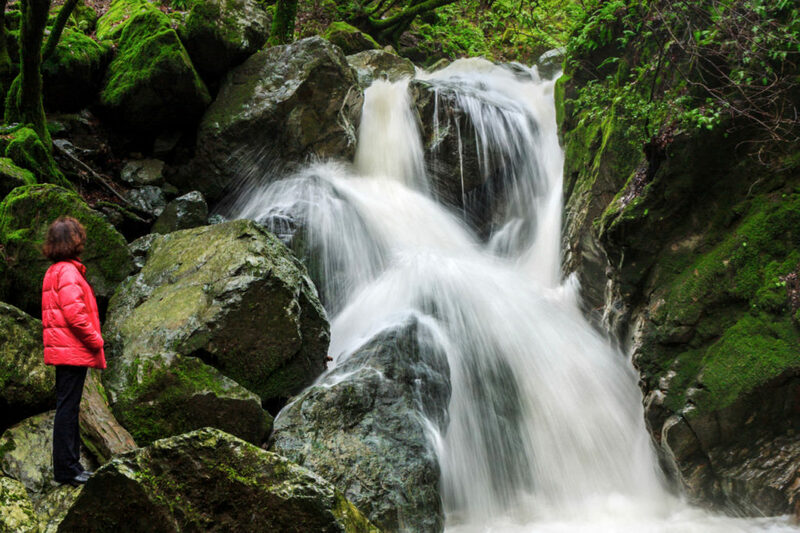 For an easy-access, quick fix, there’s no better choice than the sweet canyon waterfall right here in Sonoma County that gushes forth during winter rains amid huge boulders and greenery. The 25-foot waterfall has been popular of late, drawing weekend crowds who revel in the refreshing results of a wet season. The falls can be reached in as little as a third of a mile via the lower Canyon Trail, if you are able to get one of very few parking spots in pullouts along Adobe Canyon Road beyond the Goodspeed Trailhead. It’s a very level path to and from the falls. More parking is available up top, near the park visitor center, where the upper Canyon Trail offers a 450-foot drop down to the falls. The walk is just under a half-mile in each direction, though the return trip is a fairly steep climb up. 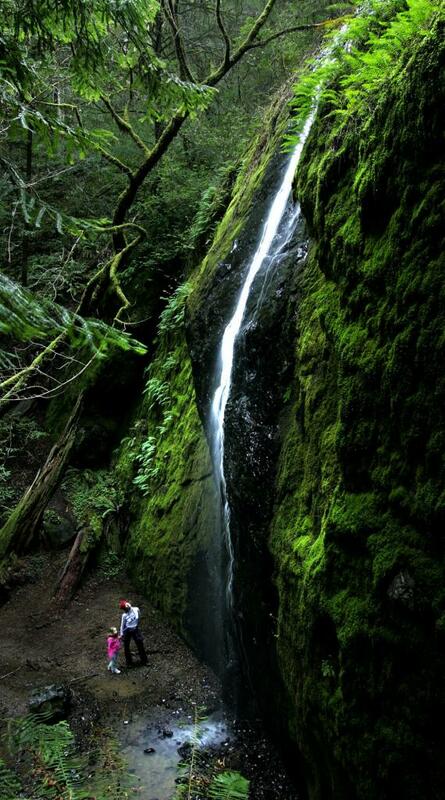 Those who prefer a longer trip through the redwood canyon can take a 2-mile loop that starts down the Pony Gate Trail for a little over a mile before it links up with the Canyon Trail and aligns with Sonoma Creek, taking visitors up into rocky canyon from which the waterfall springs. The hike takes about an hour. The park is located at 2605 Adobe Canyon Road, off Highway 12, in Kenwood. An $8 day use fee applies ($7 for seniors). Dogs are not allowed on trails. 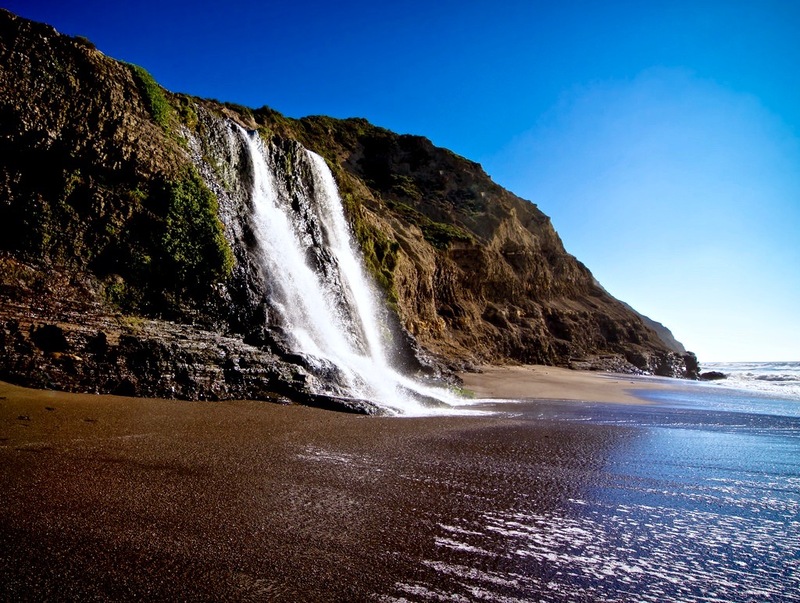 The trek to Alamere Falls, a cascading coastal falls that bleeds over a slick, shale bluff onto an ocean beach, is a 14- or 16-mile round-trip, depending on the route. But rewards await in the spectacular finale of Alamere Creek, as it stair-steps to the bluff edge 40 feet above the beach, then pours over the mossy rock face to the ocean below. Alamere is a rare “tidefall” that crests the edge of the continent near the southern end of the national seashore, also offering gorgeous coastal views that, on clear days, take in the Farallon Islands. Inland trails include wooded walks through tree canopies, opening onto more exposed trails along the bluff. Though countless visitors have accessed the waterfall over the years by scrambling down an unstable cliff alongside, national park personnel ask all hikers to reach the falls via Wildcat Camp, a bluff-top campground about a mile north of the falls. Hikers must traverse a mile of Wildcat Beach to get to the falls and then return to the trail, requiring careful consideration of tide and surf conditions. Do not go at high tide. For North Coast residents, the most efficient and least crowded route starts inside the park at the Bear Valley Visitor Center, 1 Bear Valley Road, Point Reyes Station. Head coastward along the Bear Valley Trail to the Coast Trail, and then south to Wildcat Camp, a trip of about 6 1/2 miles. It’s another mile south on the beach to reach the falls. A second, far more challenging option, starts near Five Brooks Ranch, 8001 Highway 1, Olema, beginning on Stewart Trail, taking hikers 6.7 miles to Wildcat Camp along numerous switchbacks with significant elevation gains. 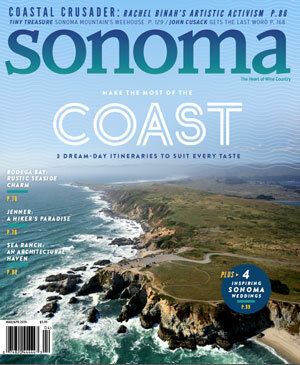 The trip from the Palomarin Trailhead farther south, at the end of Mesa Road in Bolinas, is also an option, though it’s the most accessible trailhead for residents of the Bay Area and, thus, very popular. Also, as the northbound trail approaches Alamere Falls well before Wildcat Camp, it brings with it the temptation to climb down the unstable bluff along a now-closed trail. To Wildcat Camp, it’s about 5.5 miles, with another mile walk on the beach. Poison oak is present along some of the trails. Dogs are prohibited on all routes. 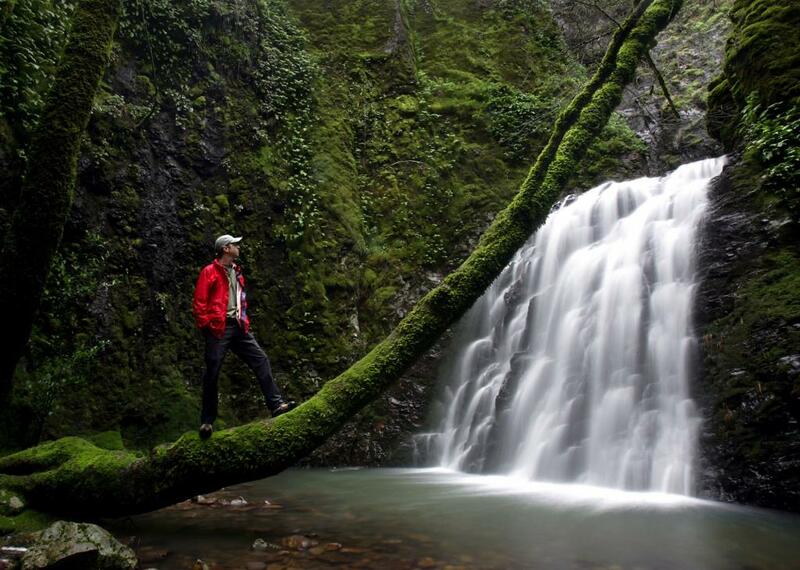 Though a popular Mendocino Coast walk, there is nonetheless something intimate about the hike up Fern Canyon to the 36-foot waterfall in Russian Gulch State Park. Delicate ferns lining the canyon and woodland trees in every shade of green draw visitors onward as they follow meandering Russian Gulch Creek along the canyon floor. You can get right up close to the broad stone face of the waterfall and stand amid fallen trees, or hike above the falls, taking care not to slip on wet rocks. Russian Gulch State Park is located at 12301 North Highway 1, about 2 miles north of the town of Mendocino. The trail starts at the east end of the campground and follows an old logging road with crumbling asphalt for the first 1.9 miles. A bike rack marks the point where the flat, paved trail starts to incline, offering two alternate, hiker-only routes to the waterfall — one a straight, out-and-back leg 0.8 miles long, for a 5.4-mile round-trip, and the other a 1.7 mile loop, for a total 6.5-mile walk. Day use fee of $8 applies. No dogs permitted. This remote, narrow waterfall east of Fort Bragg draws visitors deep into Jackson State Demonstration Forest off Highway 20. 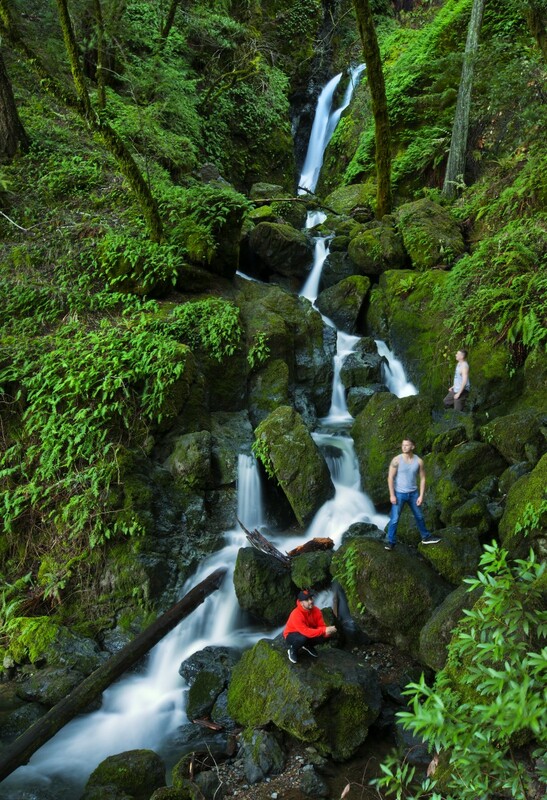 Even if there were no waterfall to see here, the short hike into virgin redwood forest is like a trip into an enchanted land, where brilliant green moss coats the rocks and fallen timber amid majestic redwoods have stood tall for centuries. It’s easy to imagine fairies flitting about in the streams of sunlight that break through the overhead canopy, or hiding amid plentiful ferns that blanket the ground and the rock face down which Chamberlain Creek cascades into a small pool. To reach the trail, turn north from Highway 20 onto Road 200 at Dunlap Conservation Camp, located just over 16 miles east of Fort Bragg. Follow the road, bearing left, past the point where it branches into an unpaved road. At 4.7 miles north of Highway 20, there is a rustic wooden railing and stairway leading down into the woods along switchbacks that open onto the single-track trail. Park here. The waterfall is located about a third of a mile along, but the path continues northward, climbing back up to the road at a point about a half-mile from the steep staircase for a total trip of about 3 miles. Free. Leashed dogs permitted. 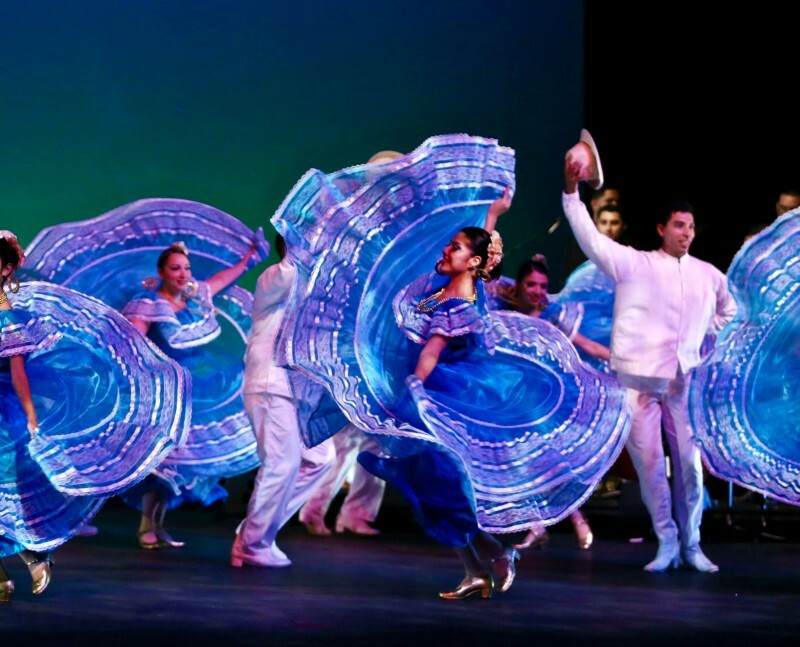 Ballet Folklorico's Posada Navideña stage show celebrates the holidays in vibrant style.